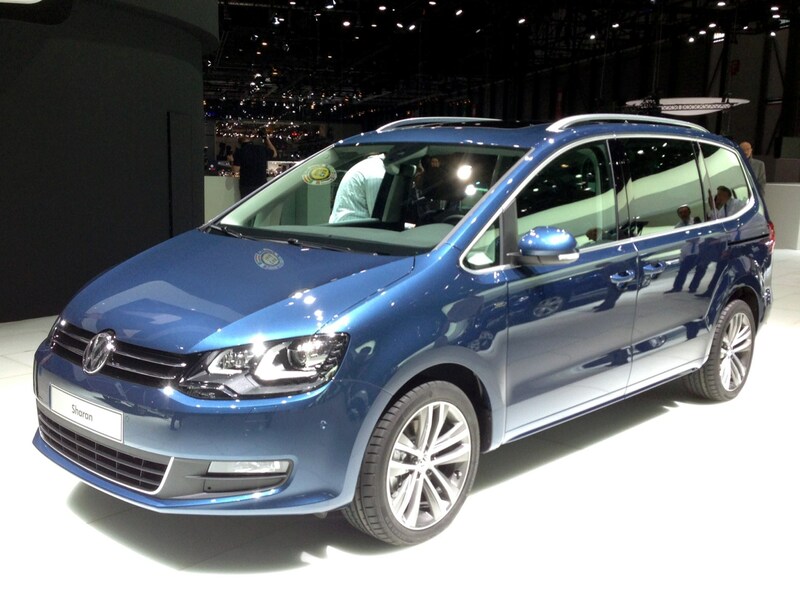 Volkswagen’s biggest news at Geneva was the unveiling of the second generation of seven-seater Touran people carrier. Sharper, Golf-aping styling makes it look much more attractive but VW promises the expanded dimensions have liberated significantly more interior space boosting practicality, with 47 separate storage compartments and a new system for folding the rear seats flat. Less weight, better aerodynamics and efficient engines should see significant fuel economy gains across the range of petrol and diesel engines too. 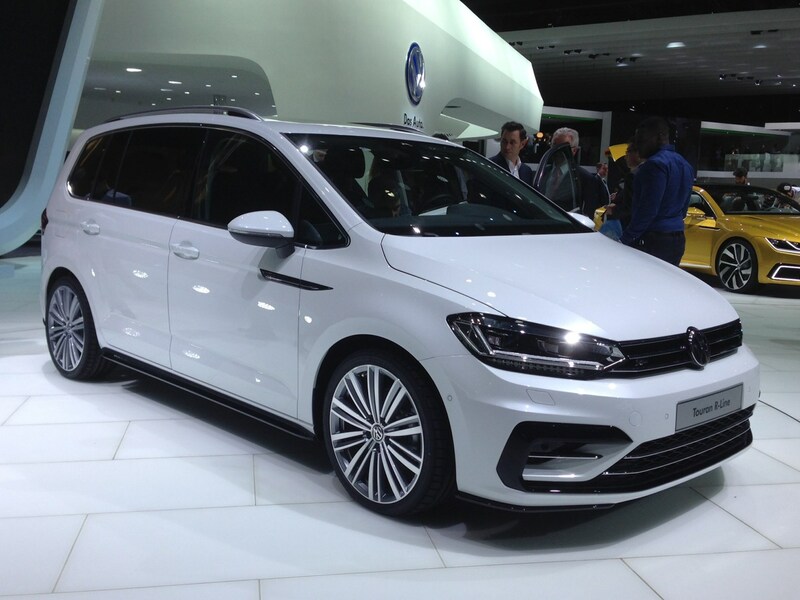 Get all the details so far about the new VW Touran here. Read the current VW Touran review by clicking here. As the old Touran was getting long in the tooth, it had fallen behind the competition significantly. The likes of Citroen’s Grand C4 Picasso and Ford’s facelifted Grand C-Max are likely to have their work cut out with this VW. Not to be overshadowed by an all-new iteration of its smaller sibling, VW has also presented a revised version of the larger Sharan people carrier at Geneva. Outside, a few minor design alterations herald the latest model but it’s under the skin where the Sharan has been more extensively revised. Petrol and diesel engines are now more efficient and in most cases can be mated to a DSG automatic gearbox that now has a coasting function, allowing the engine to turn off while the Sharan’s still moving under specific conditions. Infotainment technology has also improved to include a new form of smartphone connectivity allowing the likes of MirrorLink, Android Auto and Apple Car Play app sharing to be performed more easily. Larger people carriers like the Sharan have fallen out of favour in recent years but those still loyal to them love them. These 2015 revisions are likely to keep fans of VW’s largest MPV very happy. 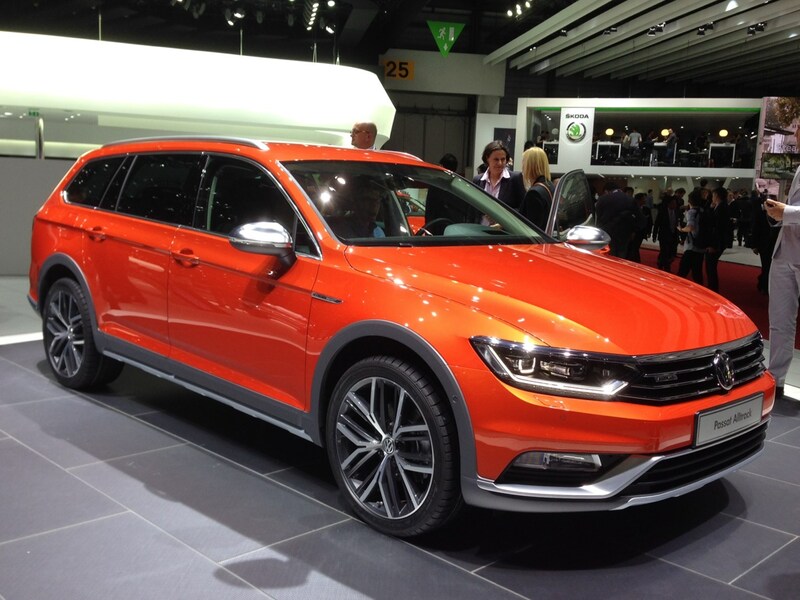 Based on the latest generation of Passat estate, the latest Alltrack continues the theme of the previous generation, giving the VW a degree of light off-roading ability as suggested by the chunkier bodywork and increased ride height. For the full VW Passat Estate review, click here. While the Passat Alltrack looks the part, it’s not a proper off-roader and buyers need to be savvy in deciding whether it offers them many real benefits over four-wheel drive versions of the conventional Passat estate. Volkswagen’s already-announced Golf R estate had its European debut at Geneva alongside the world premier of the Golf GTD estate, offering something to buyers who want to enjoy performance and economy. With 181bhp on tap from its 2-litre diesel engine, the GTD estate should spring to 62mph from a standstill in just 7.9 seconds yet still returns an official claimed average fuel economy of 64.2mpg. Outside, both models have sportier styling cues that mirror those of their hatchback counterparts. What does the Volkswagen Golf estate have to offer? You could build a case for either of these cars being the only car you’d ever need but in reality the GTD estate makes more sense for more people as an ownership proposition. 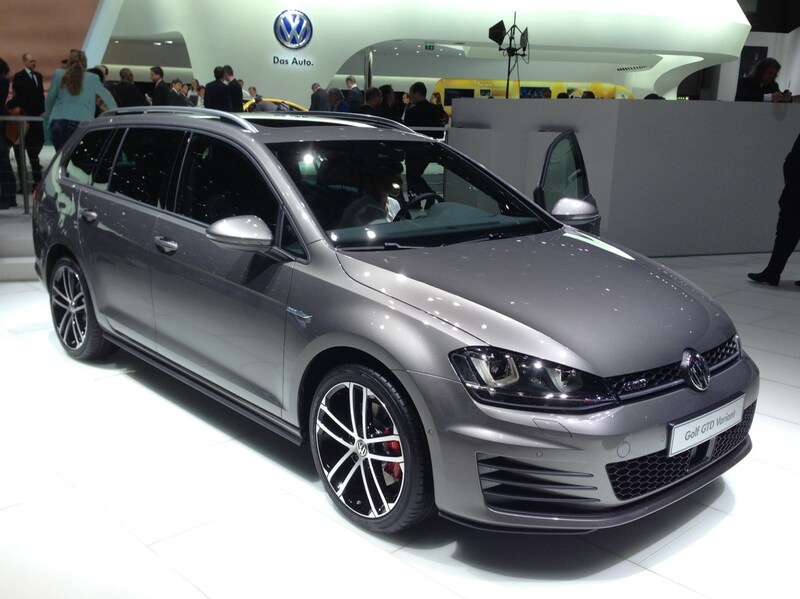 If fuel consumption is less important to you, the Golf R estate promises to be a scintillating performer.